My dear friend, Beth, is having a baby boy! 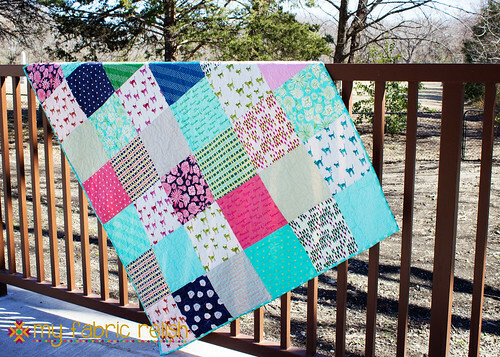 I am so very happy for her and she is probably one of my biggest non-quilting quilty fans! I made her and her husband a quilt for their wedding a couple of years ago and they have been the best quilt gift recipients Ever! Beth is constantly telling my how much she loves it and how her hubby won't let her use it because he doesn't want it to get messed up. 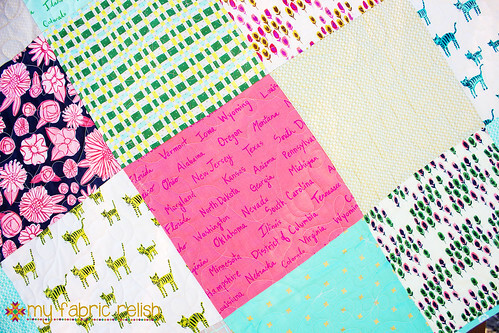 Beth not only married her awesome husband but his beautiful family and when Beth told me that she was having a boy, the first thing that came to mind right after, I get to make a baby quilt, was -- Oh, no, Grace (current baby girl of two older brothers)! She really was hoping for a baby girl, naturally. So we all know what I had to do, right? 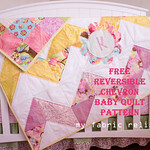 Make Grace her very own quilt, too! On top of Beth just being an awesome mom, she is also an awesome friend because she is hosting Alyce (Blossom Heart Quilts) and me in Austin when we come for QuiltCon! 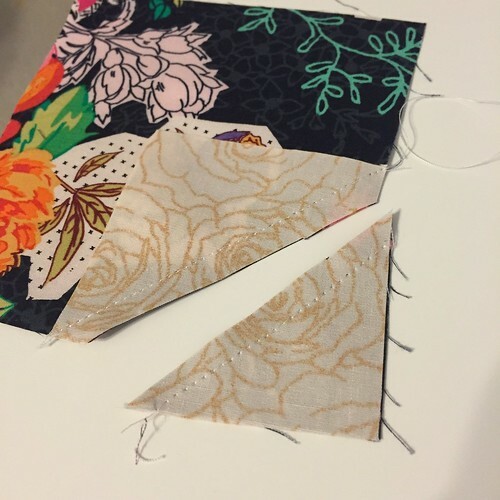 I knew that if I went to QuiltCon I would stay with Beth, but then when Alyce reached out on IG looking for a roommate to save money, it was perfect combo and Beth was so gracious to welcome a complete stranger. We are going to have so much fun! 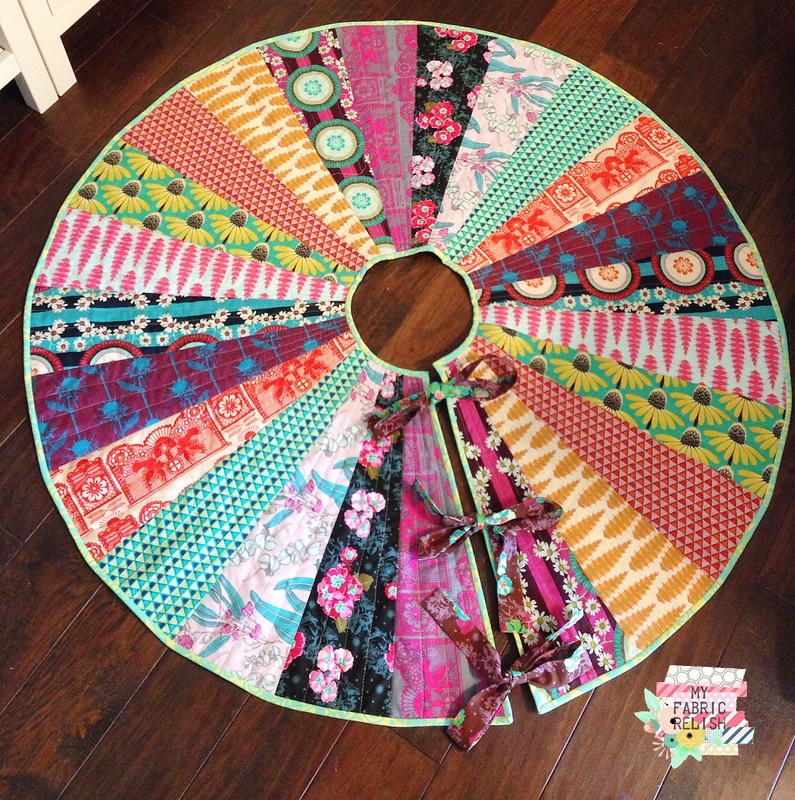 I knew that with Grace's quilt, it was going to be more about the fabric and colors than the design so I went crazy simple and just put a Ten by Ten of C+S Hatbox together and did loopy butterfly quilting on the longarm. So fun, fast, and EASY! 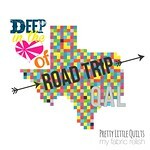 I quilted a heart around 'Texas" of course and then her name right at the end. I saved all the corner pieces (they are already all stitched together into HSTs) and plan on making a car seat quilt for baby as well. She will have to wait a bit longer to get that quilt, though! I quilted it on the longarm doing a wood grain motif. It's a pretty simple design with basically just a bunch of wavy lines and throwing in a few knots (squished spirals) in here and there. I wish I had made it a tad bit denser but oh well. 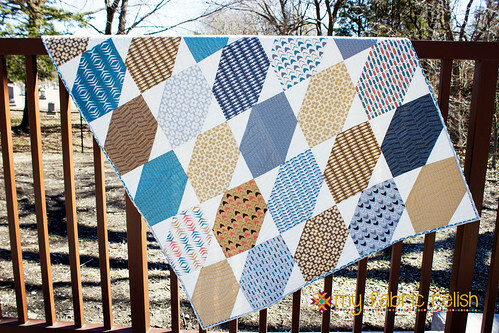 I hope this quilt gets lots of loves and snuggles and washes and can't wait to snuggle this new baby boy! 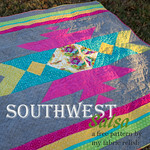 How many sleeps till QuiltCon? 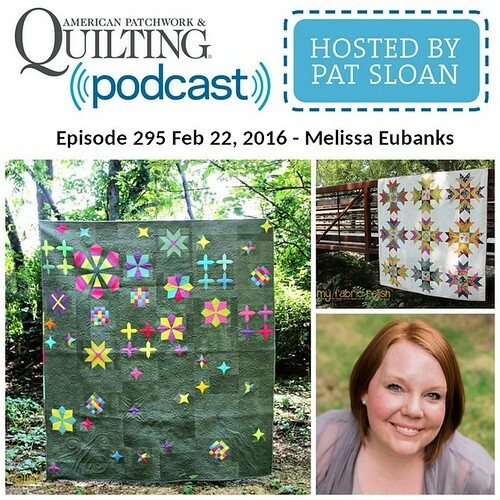 With all the fancy patterns out there these days, it's sometimes hard to remember that simple quilts are great too! 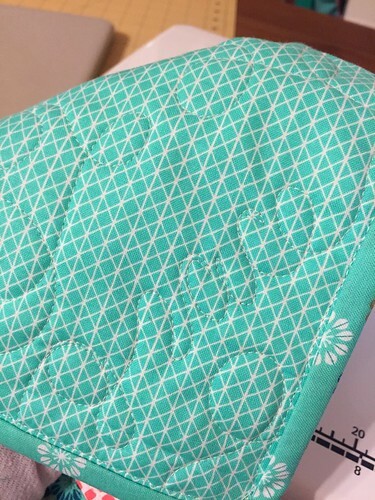 Both quilts show off the patterns and fabrics really well, especially with the novelty prints in C+S! Thank you so much, Joanna! I totally agree! Have a great week!!! 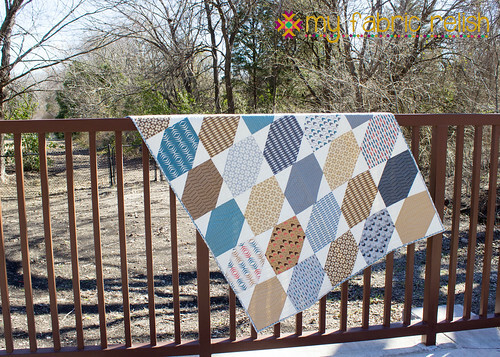 Some fabrics just scream for simple patchwork! Thanks, Izzy!! I can't wait to gift them next week! Have a great week!! WOW!!!! 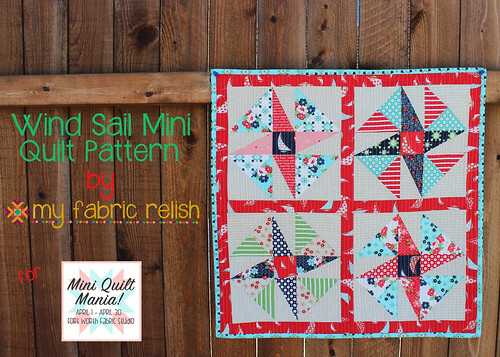 Besides loving your blog post about Beth I just hit the ceiling in love with that little boy quilt. How gorgeous and perfect. Thanks for all your sharing. I do the same with corners. Gotta love the 2 for 1's.